In Gaspé City in Québec, Canada, a black-and-white border collie was outside playing fetch with a human and two other dogs — a black dog and a tiny chihuahua. A little while later, a doughy woman in a light-colored hoodie walked to her blue SUV and quickly backed out of the driveway, oblivious to the fact that the little chihuahua was walking right into the SUV’s path. In a flash, the collie rushed in and snatched the chihuahua off the ground and out of the way of the SUV. The woman first drove the SUV forward, then back. She got out of the car and the collie ran to her in a flash, then backed away as the chihuahua walked into the woman’s embrace. She then hugged the collie. The Border Collie is a working and herding dog breed developed in the Scottish borders for herding livestock, especially sheep. It was specifically bred for intelligence and obedience. Considered highly intelligent, extremely energetic, acrobatic and athletic, they frequently compete with great success in sheepdog trials and dog sports. They are often cited as the most intelligent of all domestic dogs…. 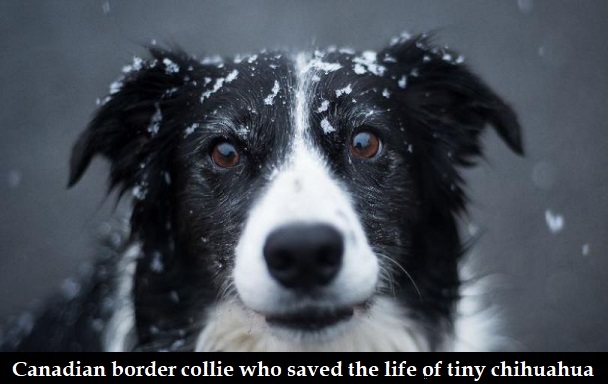 Border Collies require considerably more daily physical exercise and mental stimulation than many other breeds…. Although the primary role of the Border Collie is to herd livestock, the breed is becoming increasingly popular as a companion animal. In this role, due to their working heritage, Border Collies are very demanding, playful, and energetic. They thrive best in households that can provide them with plenty of play and exercise, either with humans or other dogs. H/t CSM, Maziel & Jim G.
Winters in Siberia are snowy, icy, and bitterly cold, with temperatures plunging to as low as -12°C (10°F). 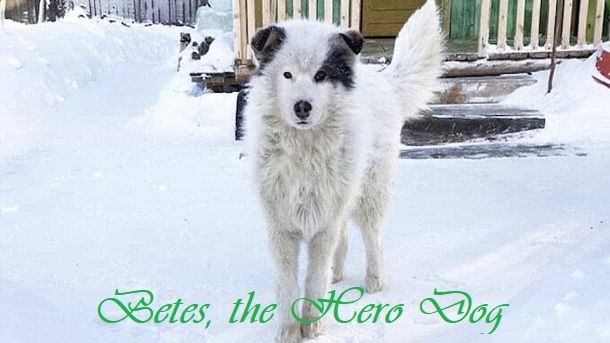 The Siberian Times reports that in January 2017, villagers in the Loktevsky district of Altai region in southern Siberia, Russia, found a dog, covered in snow, curled up on the unheated porch of a home. 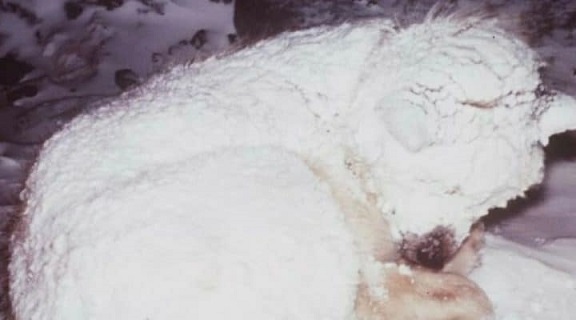 Beneath the dog was a two-year-old toddler, barely alive, with acute hypothermia. The boy had lived in the house with his mother, who left the child alone at home. If it were not for the dog who, for two days, shielded the toddler from the cold by wrapping his body around the child, the boy would have died from exposure. I searched in Siberian Times‘ archives for a follow-up, but found none. In a comment, a Siberian Times reader wrote that according to the dog’s owner, the dog is an 8-months-old Husky mix named Betes. One Monday morning in July 1996, 14-year-old Lisa Nibley and her younger brother, Joe, were swimming in the Necanicum River in coastal northern Oregon when they were caught in the rising tide. Joe was able to scramble onto shore, but Lisa was caught in the tide and carried further and further away from the shore. She struggled against the powerful current, but kept going under. Then she prayed to God for help. 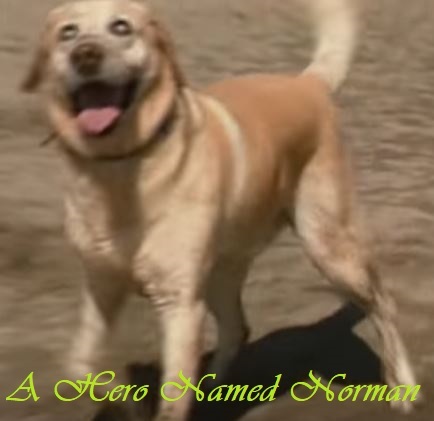 On the beach, Annette McDonald was walking Norman, a blind, yellow Labrador retriever whom she and her husband, Steve, had rescued from a dog pound. 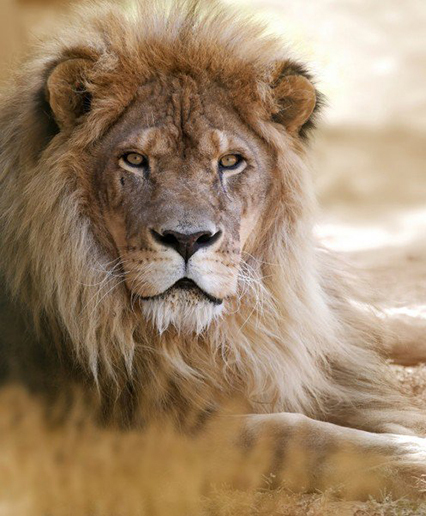 Abandoned by his original owner, Norman was only two days from being euthanized. Annette said it was unusual for her to walk Norman that morning, but something “came over her”. While walking on the beach, Norman suddenly ran toward the sea, having heard Lisa’s cries for help. Altogether, the dog bolted 150 yards straight into the water. Then Norman hesitated because Lisa, weak from her struggles, had stopped screaming. So Annette yelled to Lisa to call out to Norman. Using his hearing, Norman, the blind dog, made his way to Lisa and towed her back to shore. Lisa’s grateful parents, Jeff and Elaine Nibley, tried to raise money for surgery to help Norman’s blindness. Today, the BBC is scheduled to broadcast an animal documentary, Spy in the Snow, narrated by David Tennant, on how dangerous life is for creatures in the Antarctic. To promote it, BBC One put out a video clip showing a giant petrel preying on a group of Emperor penguin chicks. Giant petrels are sea birds restricted to the Southern Hemisphere. 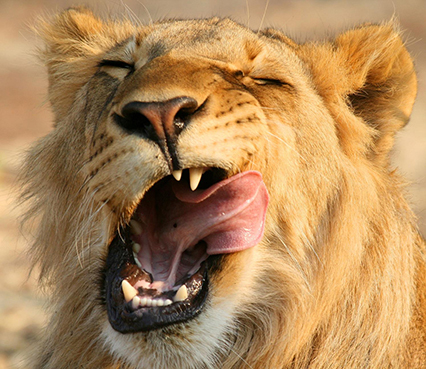 They are very aggressive predators and scavengers, and are known by another common name, the stinker. Emperor penguins are the tallest and heaviest of all living penguin species and are found in Antarctica. The chicks try to flee, but stumble. The giant petrel got hold of one chick, grabbing it by the neck. The chick struggles and manages to get away. The chicks then huddle together in a defensive circle. One of them bravely comes forward, standing to its full height, with outstretched arms to protect the others. The giant petrel crouches and watches, biding its time. Suddenly, from the side, out dashes a fearless Adélie penguin to the rescue. Although the Adélie is shorter and smaller than the emperor penguin chicks, the Adélie — a different species from the emperor penguins — shields the chicks by putting himself between the chicks and the giant petrel. The giant petrel gives up and flies away, while the chicks and their brave protector waddle to the sea. How many humans are as brave and selfless as this Adélie penguin? On November 8, 2018, a terrible wildfire, the Camp Fire, destroyed most of Paradise — a town of 26,218 people in the Sierra Nevada foothills in Northern California. 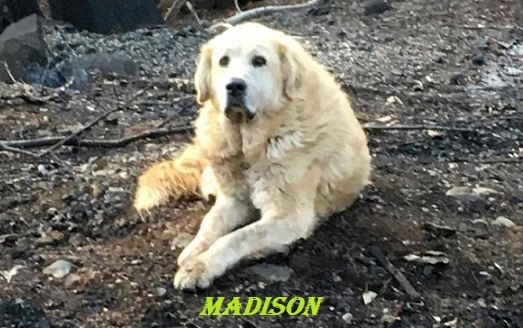 The AP reports that an Anatolian shepherd dog named Madison who had survived the fire, guarded his home for nearly a month until his owner returned. On November 8, Madison’s owner, Andrea Gaylord, had fled her home, leaving Madison behind. She asked animal rescue to check on the dog. Animal rescuer Shayla Sullivan responded to Gaylord’s request and spotted Madison some days later. 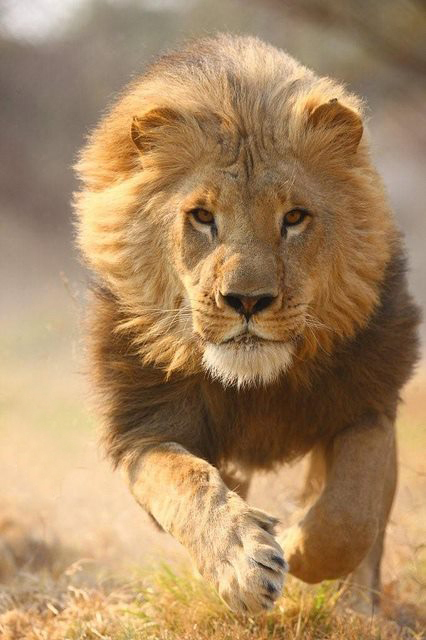 The outdoor guard dog was apprehensive and kept his distance, but Sullivan regularly left food and water for him. Last Wednesday, December 5, Gaylord was allowed back on her burned property, to find Madison waiting. He had been faithfully guarding the home all those weeks. The U.S. Secret Service are trained — and paid — to take the bullet protecting the President. 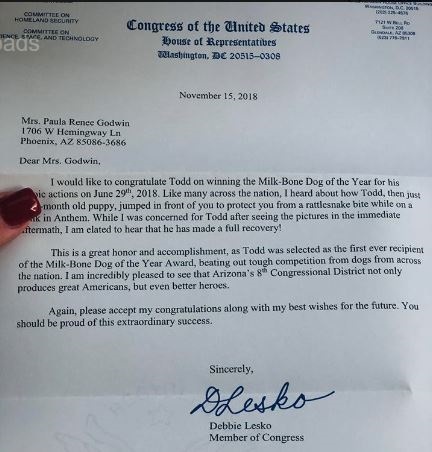 But a golden retriever puppy named Todd took the “bullet” out of loyalty and love. On the morning of June 29, 2018, Paula Godwin went on a hike with her two dogs in northern Phoenix, Arizona, when she nearly stepped on something in front of her. Startled by Godwin, the snake struck at Godwin’s legs in self-defense. In lightning speed, Godwin’s 2-month-old golden retriever puppy, Todd, blocked the rattlesnake by placing himself in front of Godwin. The snake lunged and bit Todd on his face. So this morning was up bright and early to go on a hike on 7 th street carefree . It was a beautiful morning but as we were walking down the hill I literally almost stepped on a mf rattlesnake. But my hero of a puppy Todd saved me He jumped right in front of my leg were I surely would have got bit. This is what a hero looks like 🌵🌈 please say a little prayer for my sweet hero. Todd yelped loudly in pain and his face started to swell up. 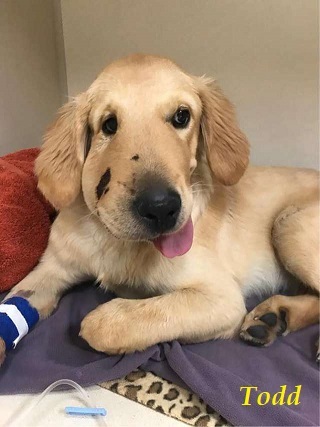 Godwin quickly got Todd to an animal hospital, where the vet treated the pup with antivenom and kept him for the rest of the day for monitoring. While rattlesnake bite is rarely fatal to adult humans, the venom can be very painful and cause blurred vision, numbness, pain and difficulty breathing. The pup was honored at an Arizona Diamondbacks game the following week. After a bit of rest, Todd is back on his feet. The swelling has gone down, but he still has a black wound on the side of his nose. 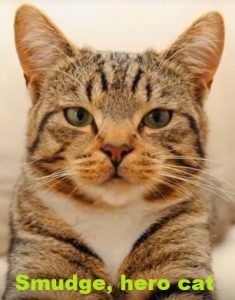 Smudge is a tabby cat who lives with his human family, the Fentons, in Doncaster, England. As reported by the UK Mirror, in 2014, 5-year-old Ethan Fenton and his 2-year-old brother Ashton were picked on by a trio of bullies. One of the bullies pushed Ethan to the ground. Smudge sprang into action and pounced on the chest of the bully. The three bullies were so shocked by the cat that they ran away, crying.